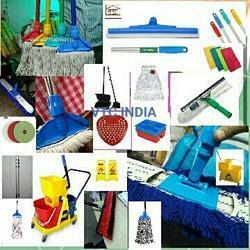 we are leading manufacture of kent mop and kentucky mop and wet mop cotton and microfiber matereal. To keep the customer fulfilled, we are putting forth amazing Wet Mop Refill. 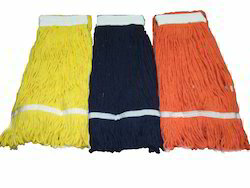 This mop refill is made utilizing prevalent quality fundamental material and current innovation at our sellers' end. Offered mop is refreshing for its best cleanings and simple taking care of. Mop is checked in consistence to set quality standard by quality controllers. Furthermore, this mop can be profited for our prestigious customers at financially savvy costs. With years of experience in this domain, we have carved a niche for ourselves, in offering a supreme quality Kent Mop Clip. The offered clip is manufactured using high grade material and cutting edge technology in tandem with the latest industry standards. 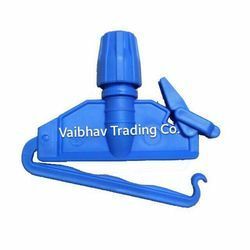 Our offered range of clips is widely demanded by our clients for wiping the floors. In addition to this, our offered clip can be availed by our client's at most reasonable prices. We are leading manufacture, supplier of cleaning products and cleaning tools.